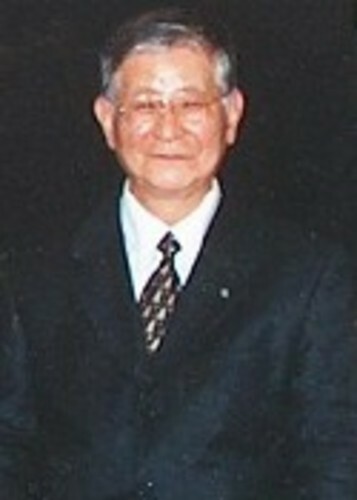 GREAT GRANDMASTER CHUL HEE PARK. 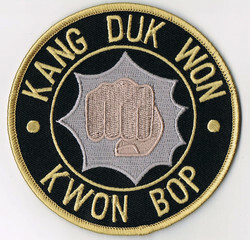 FOUNDER OF THE KANG - DUK - WON / KWON - BOP STLYE, AND ALSO THE ONE WHO COMBINED THE TWO ARTS TOGETHER. 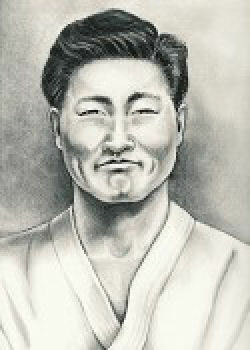 GREAT GRANDMASTER IN PYONG YOON. 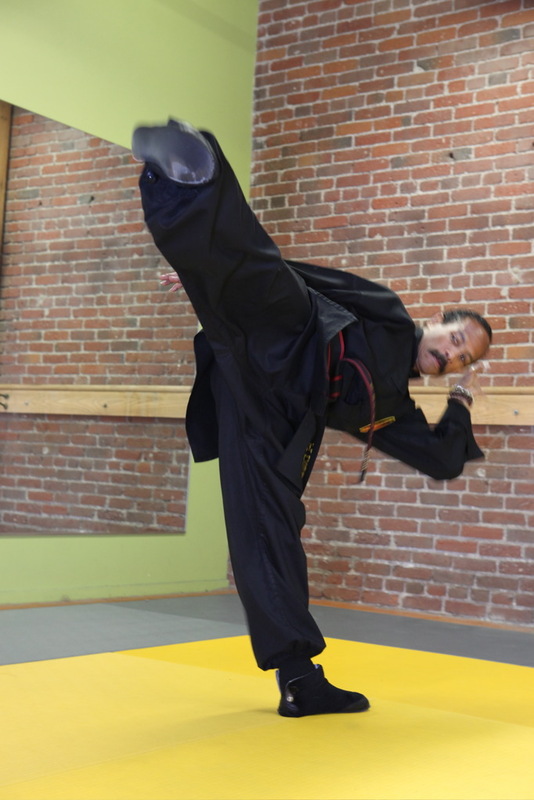 GREAT GRANDMASTER CHUL HEE PARK'S TEACHER. 1920 - 1983. THIS IS A GROUP PICTURE OF THE FIRST BLACK BELT TESTING AT THE KANG - DUK - WON KWON - BOP SCHOOL IN SEOUL, KOREA. 1958. 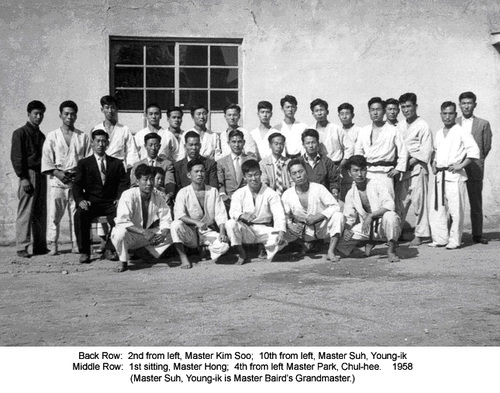 GREAT GRANDMASTER CHUL HEE PARK IS SEATED, SECOND ROW FOUTH FROM RIGHT IN GREY SUIT. 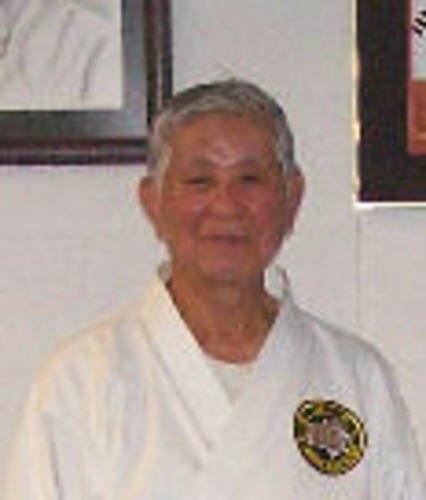 KANG - DUK - WON / KWON - BOP GRANDMASTER JIM MUSE FURTADO. GREAT GRANDMASTER CHUL HEE PARK TODAY. 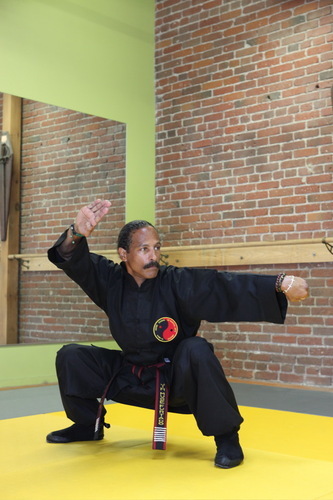 GRANDMASTER JIM MUSE FURTADO IN KI-MA-SEH: "LOW RIDING HORSE STANCE". 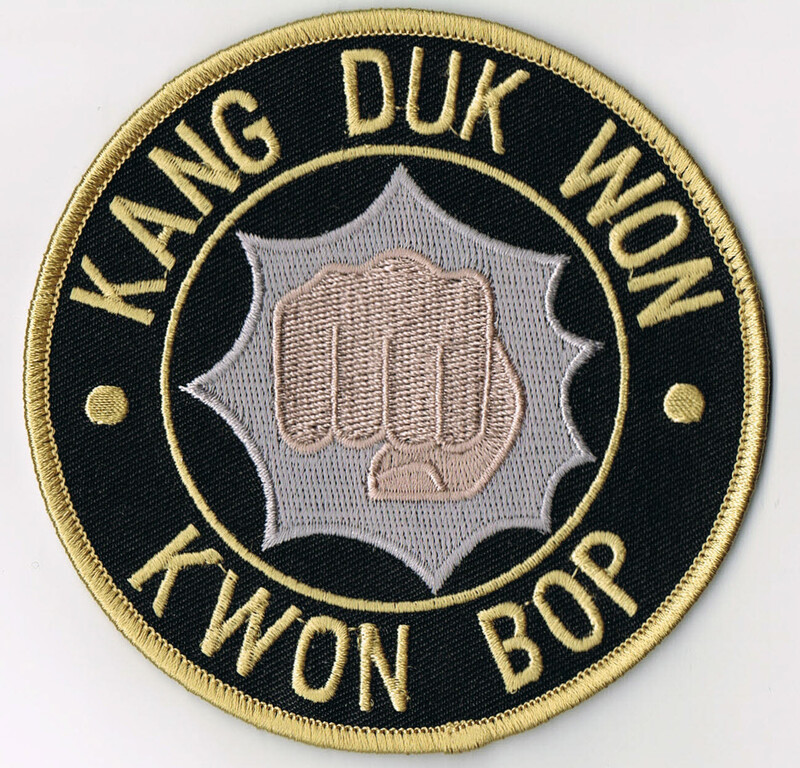 THE HISTORICAL KANG - DUK - WON / KWON - BOP PATCH. THE LETTERS AT THE TOP STANDS FOR: HOUSE OF DISICPLINE OR VIRTUE. THE LETTERS AT THE BOTTOM STANDS FOR: FIST METHOD. THE FIST BUSTING FROM THE BLACK COLORING REPRESENTS REACHING A STATE OF ENLIGHTMENT IN YOUR MARTIAL ARTS TRAINING. "TO PENERTRATE THE DARKNESS". THE GOLD BORDERS REPRESENTS THE LEVELS OF KNOWLEDGE. THESE LEVELS CAN ONLY BE REACHED THROUGH MANY YEARS OF DEDICATED PRACTICE AND HARD WORK. MANY FAIL TO REACH THIS STAGE IN THIS DAY IN TIME!! !